Actual item pictured. Excellent, lightly used condition. 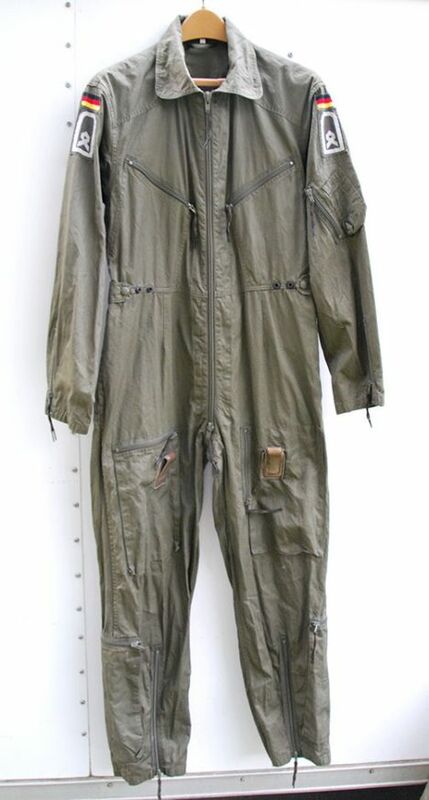 German Army (Bundeswehr) filght suit was formerly worn by someone with the rank of Hauptfeldwebel (Sergeant Major). This German made garment bears the production date of 5/1981 and was manufactured by R.+A. Becker. German size is Gr 6, 174/92. This translates to 36" chest by 68.5" tall. Garment measures 22" across at the base of the sleeves, 62" tall from base of collar to hem and 35" from center of neck to cuff. Inseam measures 30". Condition is very lightly used, excellent. Zippers were manufactured by OPTI and all function properly. There is a very small dark stain less than 1 cm at the base of the left leg pocket but it is not very noticible. No rips, tears, repairs or odors. A very nice and collectible example of 1980's Bundeswehr militaria. Please have a good look at the pictures and let us know if you have any questions. Shipping weight = 2.75 lbs.